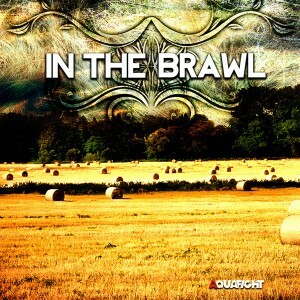 Jonathan Blanchette releases “In The Brawl” available on his website and on Itunes. Stay tuned to know how to get your CD copy! For now, you can grab yourself a digital copy! Jonathan Blanchette is a multi-instrumentalist and song-writer with an AEC in sound engineering. He plays a wide variety of instruments, including singing. He played and sang every sound of “In the Brawl”, and the recording, under Aquafight Records – his studio – was done entirely on his own as well. His major influences come from the old rock scene with bands like Aerosmith, Scorpions, Led Zeppelin, Pink Floyd, Camel and many more. He also favors the use of vintage sound and equipment for his recording. The album itself takes many influences from old Rock bands, the most important being Pink Floyd and the psychedelic story-album “The Wall”. In the Brawl blends various styles within the Rock and Prog Rock genre, and so there should really be a song in there to please any Rock fan.